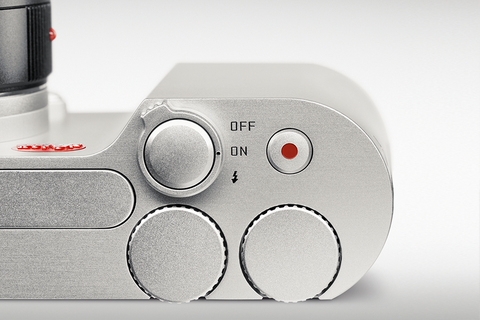 Leica Camera AG, Wetzlar, has released a new firmware update for the Leica T (Type 701) camera. Users wishing to bring their product up to date can now download the firmware (FW 1.3) free of charge from the Leica website and take advantage of the latest improvements. The most significant improvements include a considerably shorter camera wake-up time. In comparison with earlier firmware versions, the wake-up time is now less than 0.9 seconds. In-camera image processing has also been improved. New tonal response curves for images processed in JPG format have been implemented and ensure a consistent visual impression for JPG and DNG images. In addition, firmware update 1.3 also provides numerous new and revised functions. These include, for example, improvements to the Wi-Fi set-up menu: after connecting the camera to a Wi-Fi network, the camera automatically asks if the user wishes to use the Leica T app or the Web gallery. All settings required are then made in accordance with the user’s selection. The autorotate function has also been revised. The images are now rotated automatically with the camera and thus fill the entire display. This rotation is also available in automatic review mode. Also new is a brightness simulation of the Live View image in M exposure mode. This function is also active in the exposure modes P, A, and S when exposure compensation has been applied. Other improvements concern the use of the M-Adapter (here, direct access to the focusing aid is now available with the left-hand dial), digiscoping scene mode (the limitation of the maximum shutter speed to 1/250 s has been removed) and touch AF/touch AF and release (the last AF position selected in touch AF mode is stored and is also used when shooting with the camera’s shutter release button). Further improvements include an option for limiting the focusing range (when using the new Leica APO Vario-Elmar-T 55–135 mm f/3.5–4.5 ASPH., a special AF mode is implemented that offers a limited focusing range to make autofocusing faster for certain situations). Also new is the option for selecting autofocus modes in scene modes and a harmonisation of the layout of the information bar in the Visoflex EVF (Type 020).